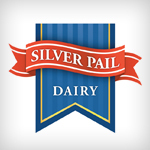 Silver Pail (Fermoy, Co. Cork) is the largest ice-cream manufacturer in Ireland with 30 years experience in the manufacture of high quality ice-cream, frozen yogurts and frozen desserts for the retail and catering sectors. Product lines include own brand lines for Irish & UK multiples and retailers, luxurious ice-cream cakes, scooping ice-cream and a food service range for the catering sector. Silver Pail operates a modern facility, sourcing milk and cream from local farms, and offers a bespoke product development service which is chef led. The in-house team is at the pinnacle of ice cream innovation in Europe, designing flavours and mixes that range from everyday to the more unusual, with an international influence based on their experiences supplying the Middle East and other International markets.